I hope you are doing great. Last week we discussed one of my favourite strategies Long Strangle. Our strategy is more or less similar but totally opposite to Long Strangle. 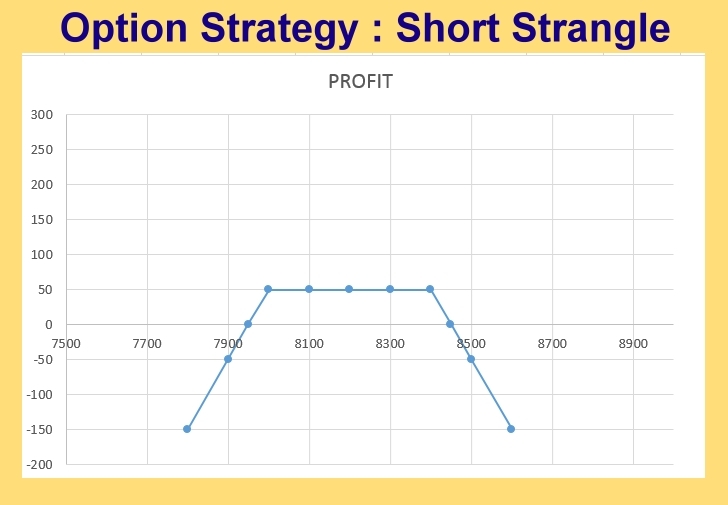 Today’s strategy is Short Strangle. It can also be a blessing if you can execute it properly. So without waiting any further let’s discuss the Strategy. 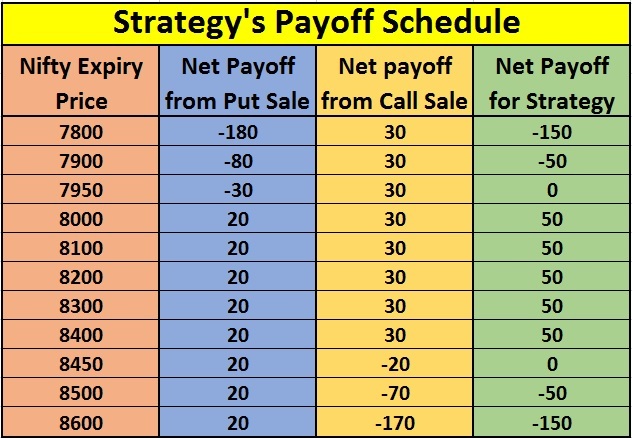 This strategy involves the selling of a slightly out-of-the-money (OTM) Put and a slightly out-of-the-money (OTM) Call of the same underlying stock / index and expiration date at the same time. In this strategy, since OTM call and put are sold, the breakeven points are also widened. The underlying stock has to move significantly for the Call and the Put to be worth exercising. If the underlying stock does not show much of a movement, the seller of the Strangle gets to keep the Premium. When can we use this strategy?? We can use this strategy when we believe that the underlying stock / index will experience very little volatility in near future. Net credit taken to enter the strategy is Rs. 50, which is the maximum gain we can get.